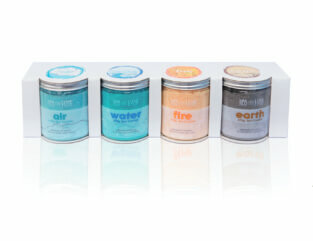 This bath salt package comes with 4 delicious scents of bath salts based on the 4 elements; air, water, fire and earth. The package consists of delicious bath salts for every occasion. 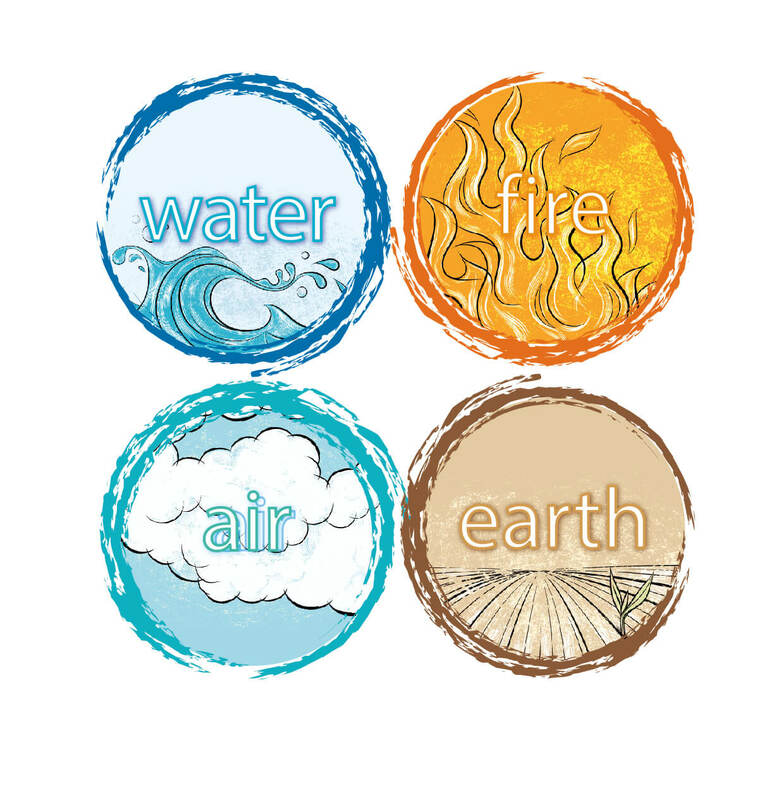 For a relaxing skin care bath based on sea salts. 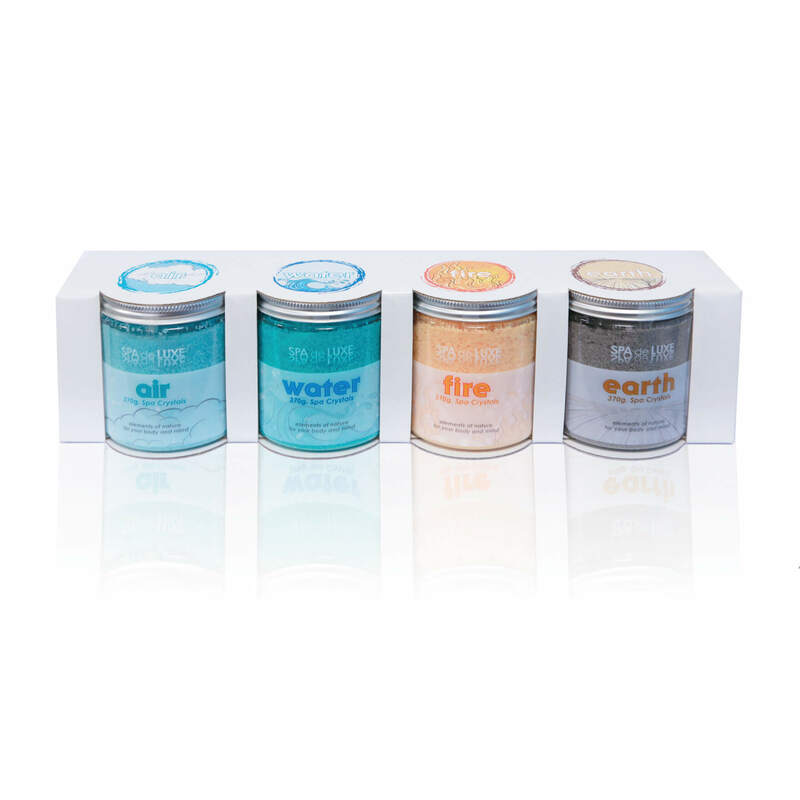 This bath salt is specially developed for spas and hot tubs and therefore 100% safe; for both technique and water treatment. Add 2 to 3 spoons to your Spa or Hot Tub. Activate the jets to allow the bath salts to dissolve in the water. 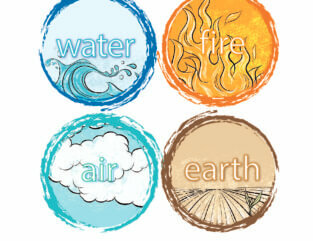 4 elements; air, water, fire and earth.